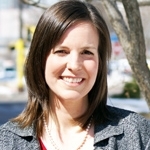 Elizabeth J. Wilson is an Associate Professor of Energy and Environmental Policy and Law at the Humphrey School of Public Affairs at the University of Minnesota. Her research examines policies and institutions that support energy system transitions. Recent research has examined how energy policy stakeholders view the opportunities and challenges of creating smart grids and decision making within Regional Transmission Organizations, which manage the transmission planning, electricity markets and grid operations over 70 percent of North America. Her research has also examined how stakeholders in different U.S. states view emerging energy technologies like wind power or carbon-capture and sequestration and the electric power transmission system. Her recent books include (West) (with Davies, Klass, Tomain and Osofsky) and Smart Grid (R)evolution: Electric Power Struggles (Cambridge) (with Stephens and Peterson). Wilson’s research group is working on two NSF supported grants on media and stakeholder perceptions of Smart Grid technologies and on decision making in Regional Transmission Organizations. Wilson was recently selected as a CIC Academic Leadership Fellow and served as a Leopold Leadership Fellow for 2011. She spent the 2009-2010 academic year as a visiting professor at Tsinghua University, in Beijing, supported by McKnight Land-Grant Professorship. Prior to joining the University of Minnesota she worked with the U.S. Environmental Protection Agency and before that Wilson worked in Belgium, Burundi and Tanzania. She holds a doctorate in Engineering and Public Policy from Carnegie Mellon University.